While we always do our part to make the purchasing process enjoyable, there are a few things you can do to make the process even more pleasant. The first thing you can do is look over your finances and figure out how much you can pay for an automobile. You should look at that two ways. First, you need to determine the monthly payment you can afford. You then need to figure out the total amount you can afford to pay throughout the duration of your auto loan. You should also prepare before you go to a car dealership. 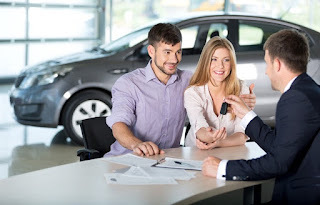 Whether you want a new Toyota car like a 2019 Toyota Avalon or you have an interest in one of our pre-owned Toyota models, research the automobile you’re thinking about buying. Research isn’t the only thing you should do to prepare for your visit to a car dealership. If you’re going to shop with your kids, pack a bag that includes some healthy snacks and beverages. Be sure you pack some things to keep your children occupied as well. Even if you don’t bring your kids with you, stow their car seats in your vehicle so you can make sure they fit in the rear seat of the vehicle you’re thinking about buying. To shop at a dealership where you’re guaranteed to have a fun car buying experience, visit Keyes Toyota today.